Sleaford, Ruskington, Heckington and Metheringham train stations have been recognised for their safety and security. The four stations have been accredited under the Secure Stations Scheme. The scheme was set up by the Department for Transport and British Transport Police, and represents a standard for safety and security of passengers at railway stations in Britain. The criteria for accreditation includes the design of the station, its management, the management of crime levels and passenger perception of safety. Sleaford has had its accreditation renewed, while Ruskington, Heckington and Metheringham train stations have been newly accredited. Across the region, 58 stations have received accreditations. 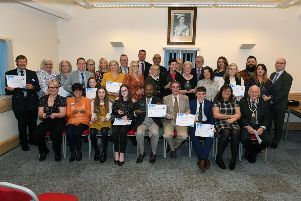 Of those, 23 have been newly accredited after additional investment and operations by East Midlands Trains, and eight have kept their accreditations. The 27 stations remaining received their award in 2015, but the awards are valid for two years.